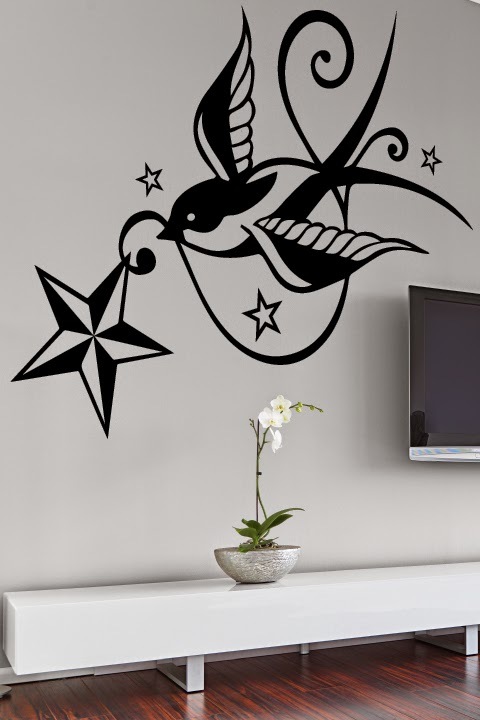 Wall Decals have come a long way since their corporate signage roots and kitschy sticker beginnings in the late 90's. 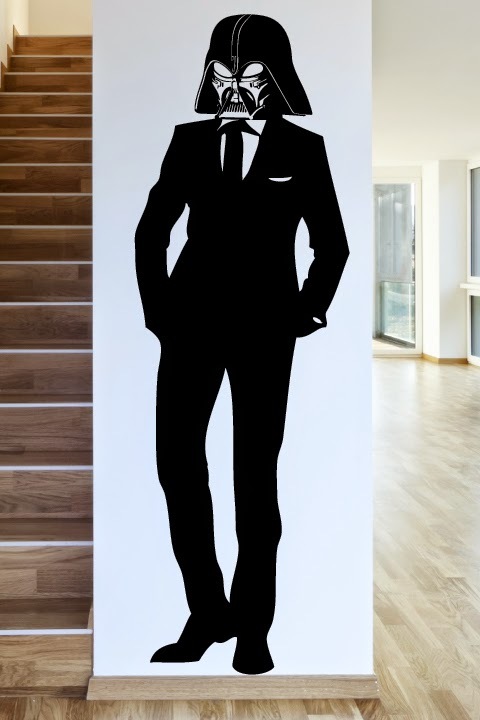 Today WALLTAT Wall Decals is pushing the design envelope in creating tongue and cheek, avant-garde decals for all ages and walks of life. Many pop culture and street art movements around the world inspired the WALLTAT Spring 2015 Collection that is making its big debut... right now. 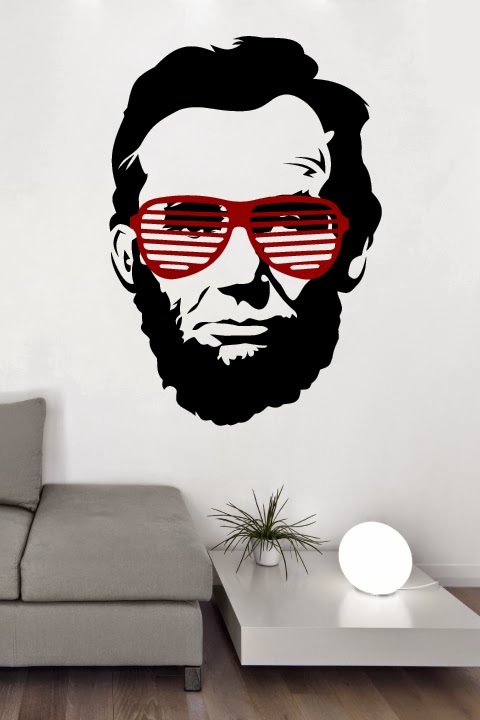 Meet "Babe Lincoln" the most honest hottie of all hotties and 16th Prezzi of the free world. If he were with us today, he'd most certainly be rocking a pair of red shutter shades and giving Kanye a run for his money. We had to create the visual for you in the form of a decal. Your welcome. Behold! The most mystical animal of all U.S. folklore described as a "jackrabbit with antlers." Known as a fearsome (or wholesome if you're from Austin, TX), this weirdly cute creature will keep your home safe from corporate conservatives. Jackalope says, "alright, alright." Use the force to blow your guests minds. Yes, these designs happened and will seriously ^up^ your decor game. 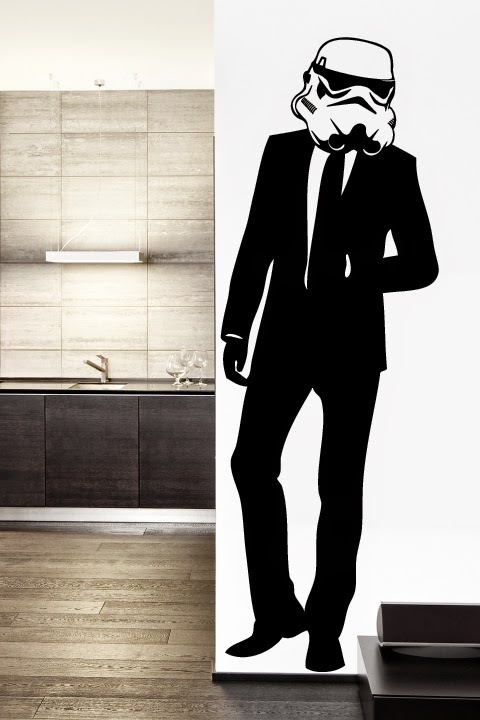 Tall, Darth and Handsome Wall Decal exudes nothing but dark side class and sophistication, like a boss. The Suit Trooper WALLTAT is equally boss status. Instead of striking enemies he'd rather strike a pose. Kudos to us all for riding our bikes to work and on date night. We made bike riding cool again with our fixies, throw back 10-speeds and now this bangin' 52in W x 32in H decal design. Its time bikes found a rightful, safe place inside our apartments! 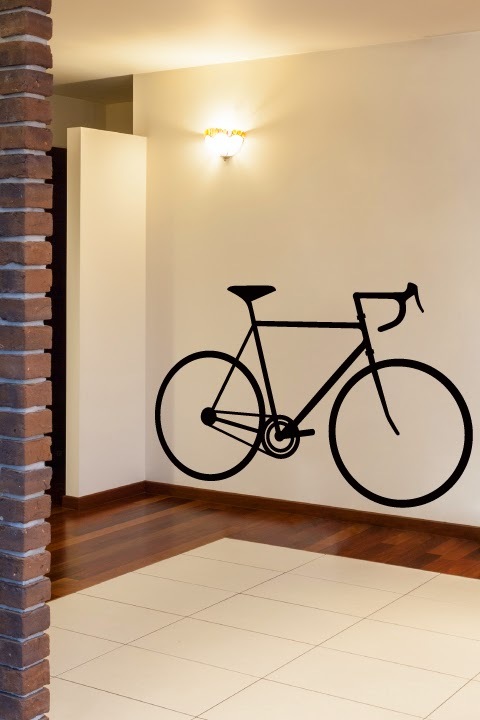 So minimal chic your bike might get jealous unless you mount a bike rack on top of the Bike Silhouette Decal to create a life size place holder. Respect. We aren't called WALLTAT for nothing. Swallows are the most common tattoo from the earliest days of sailing. They signify the amount of sailing experience one would have. For example, a swallow on one wrist meant one traveled 5,000 nautical miles and a swallow on both wrists meant 10,000 nautical miles traveled. It also symbolizes a successful voyage or that you have great taste in wall decor. You can choose to install one or two Swallow WALLTAT's, depending on how much traveling you've done or intend to do. Impress us. 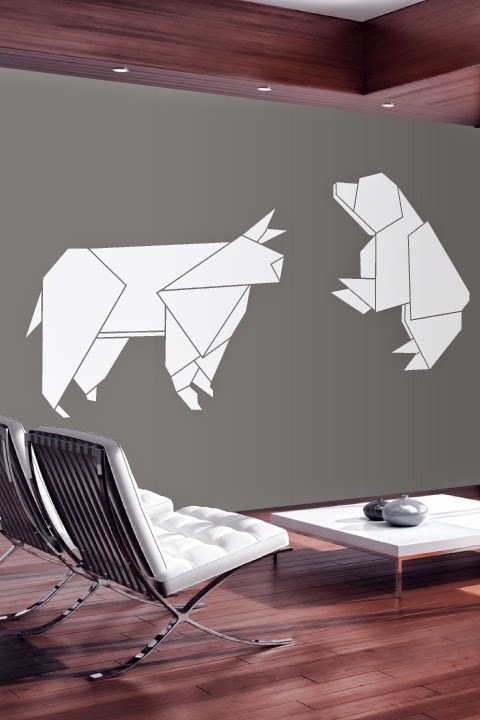 You just can't loose with this origami depiction of our volatile "bullish" and "bearish"stock market. Like trades, you can position this 2-Pack decal design where it benefits you most. Great for your office, waiting room and also the perfect gift for your broker during the holidays. They love bonuses. 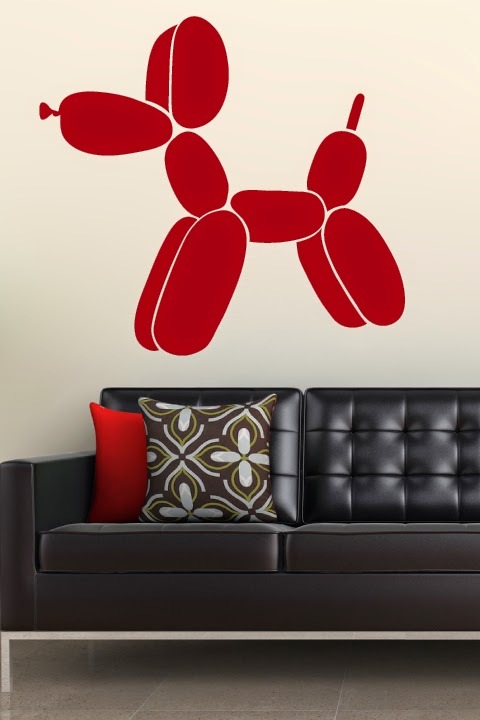 Made famous by American artist Jeff Koons, our version of the Balloon Dog is just too awesome not to recreate for the DIY fans of contemporary art. Pick from any of our 34 colors to make a collage of varied sizes and colors across your wall. Get artsy, use your thinkie brain and make your surroundings meaningful with randomness. You dig? (That was a dog pun). Don't ask, "why?" Instead ask, "why not?" 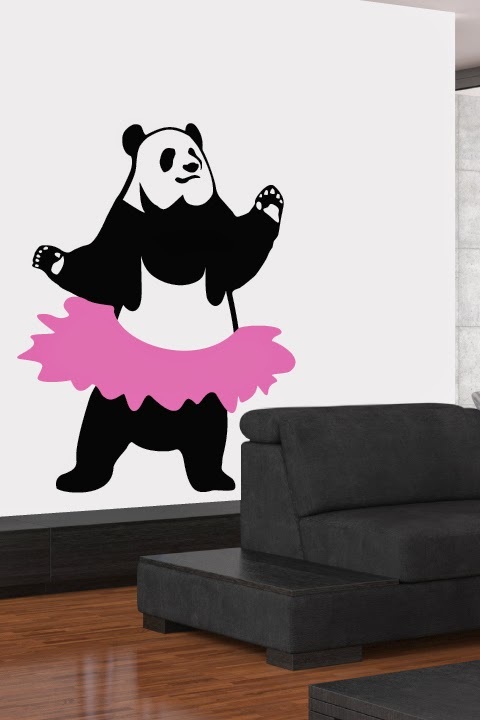 We think pandas are funny, cuddly and should always dance in pink tutu's while enjoying life in their protected environments. 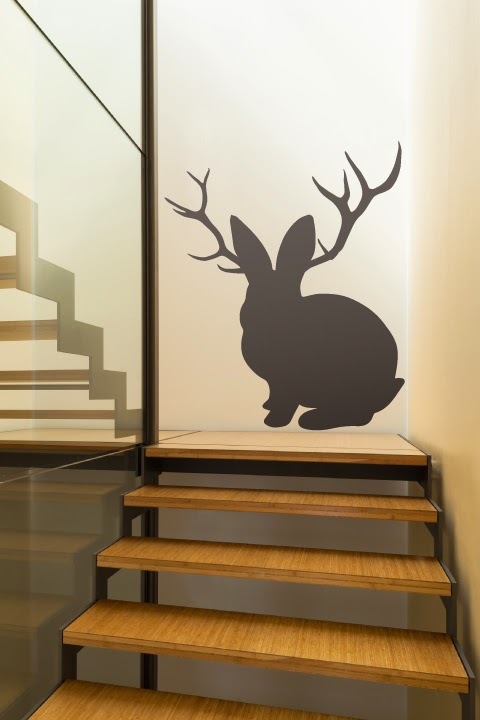 This 2-color WALLTAT uses a simple overlay installation that includes matchpoints to make your life easy and totes fun. Get jiggy with Tutu Panda, you won't regret it. See something your friends would love? Send them a link, or if your really nice send them a WALLTAT Gift Certificate. WALLTAT's are the gifts that keep on keepin' on.